I don't know about you, but I have always preferred a hot bath to a quick shower and now that I have been going to the gym more, I am certainly in need of a hot bath. 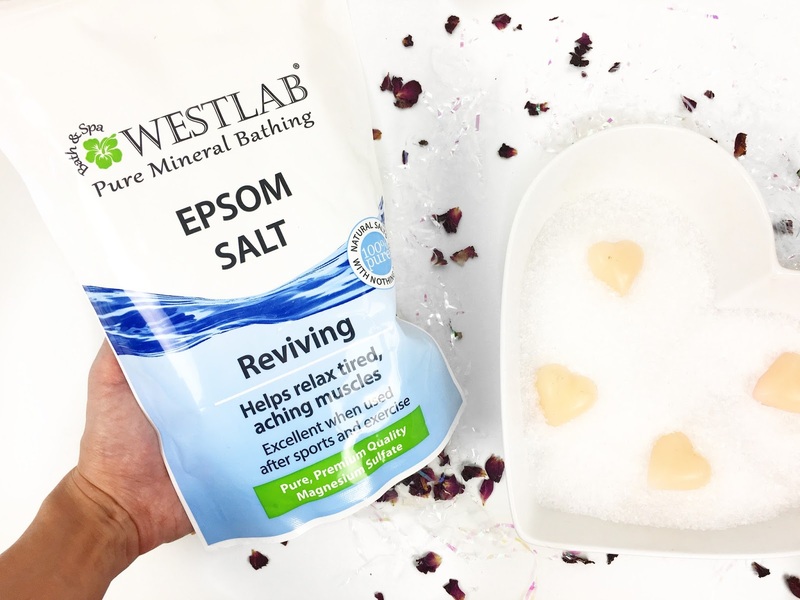 My muscles can ache quite a bit so I have been using Westlab Relaxing Bath Salts* to help soothe my muscles. I am definitely not a gym expert but I thought it would be nice to talk about my gym routine, starting with the last part of my gym ritual. To get the best results from the bath salts, stretching before you leave the gym is so important. This prevents any serious injury especially once your muscles cool down after you exercise - I've learnt this the hard way! I usually have a quick shower at the gym or when I get home, but if I am feeling extra achey, I always make sure I have a bath, even it its for 10-15 minutes. I love my bath super hot and when I started using the Westlab epsom bath salts, I began using about 2 cups and now I use about 3. I'm getting quite addicted to them! 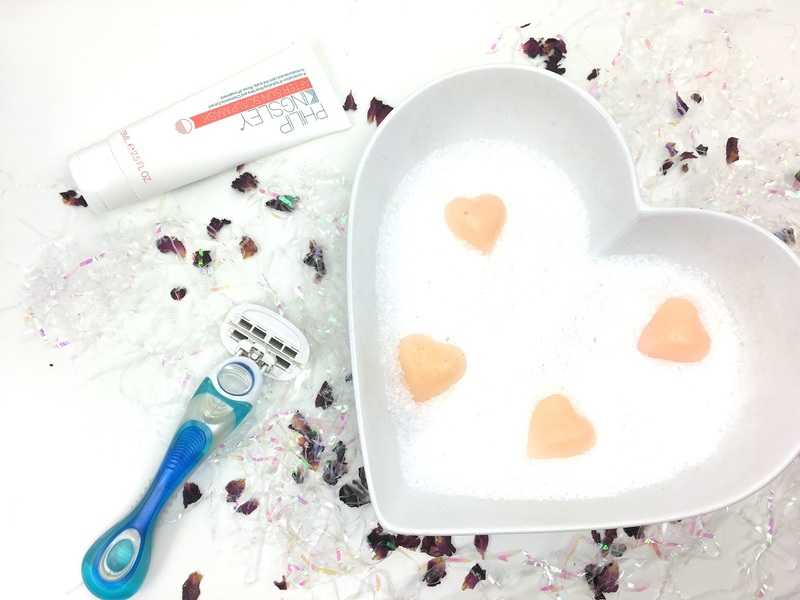 The formula gently dissolves in the water and I love that the salts are suitable for vegetarians and vegans. It's a great way to soothe your body and I love adding this to my routine. For my hair, washing it after the gym can really dry it out so I've been using the Philip Kinglsey After Sun Scalp Mask* to keep my hair hydrated. Although this is designed for the summer season, I do think it is great for giving your hair some TLC after washing your hair non stop from the gym. Finally, I can't complete my gym routine without my razor, I love a freshly shaved feeling after my workout and I like to make sure I have removed any hair. This post is perfect! I actually just did a hard workout today and my body is aching already. I definitely should have had a nice hot bath. Next time!